Tottenham Hotspur defender Toby Alderweireld is set to enter the final year of his contract and numerous reports claim the Belgium international will be on his way out at the end of the season. During the 2018-19 season, the 30-year-old has been a key figure for Spurs at the back having played 29 league games already but as of now, there are no signs that Daniel Levy’s club will be handing him a new deal during the summer. 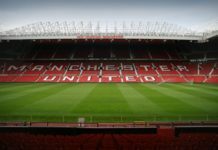 Manchester United are said to be interested in signing him and it looks like the Red Devils are planning to launch a bid for the central defender as soon as the current season comes to a close. With Toby Alderweireld set to enter the final year of his deal, Man United feel they can span him up for a transfer fee of around 25 to 30 million pounds. But now it looks like Arsenal have also entered the race to sign the defender. Unai Emery’s plans this season has been seriously hampered by a series of defensive injuries and the manager is planning to bring in some reinforcements during the summer. While Arsenal have not made any formal approach but the rumour has picked up wind during the past couple of days and there is a huge possibility that the Gunners might go after Toby Alderweireld. It remains to be seen if Spurs would be willing to sell off Toby Alderweireld to their North London rivals but apart from that there is another problem. Reports have claimed, Emery will only be getting around 50 million pounds to spend during the summer and at 30 million pounds, Toby Alderweireld alone would cost 60 per cent of Arsenal’s transfer budget. As of now, Man United still lead the race to sign the Belgium international but there are some whispers around London that Daniel Levy might just offer the centre-back a new contract on the back of the fine performances that he has given this current season. But now with around 12 months left on his current deal, Spurs will have no other option but to let him leave for a much lesser price or risk losing him for free next year. Previous articleChelsea manager picks out positives from the Liverpool loss: Were there any? 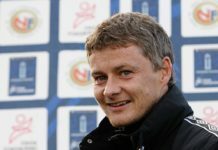 Next articleWill Solskjaer make a surprise inclusion to his starting XI vs Barcelona? Why didn’t Romelu Lukaku start for Manchester United against Cardiff City?